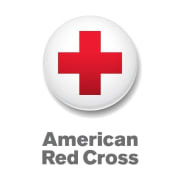 The Red Cross San Bernardino County Chapter is in need of Disaster Action Team Volunteers. Disaster Action Team (DAT) Associates assist the Red Cross in delivering mission by alleviating human suffering caused by disasters. DAT Associates respond to the needs of victims of local disasters (such as house fires)and provides them with compassion and the resources needed to meet their immediate needs (such as shelter, food, and clothes. Time Commitment: Time commitment varies based on availability. DAT responses may be completed in less than an hour or take as long as three to four hours.